Whether Durant was joking or not, it’s needless to say that his comment was ignorant and only reinforces the stereotype that Black athletes and entertainers are unenlightened. There is truth to the claim that historically slaves were trained to be physically strong and mentally weak. I won’t debate on whether the Willie Lynch letter is real or fake, but it’s undeniable that Blacks were bred and trained to be strong workers in the field, and the present-day manifestation is the superb athletic ability of slave descendants as Michael Johnson said. We inherited the physical strength gene, but unfortunately, many of us inherited the mental weakness gene as well. Slaves were bred to be mentally weak as a method to dissuade them from resisting the oppressive force of the slaveholders. In 2012, White supremacists want Black athletes as well as the entire Black race to remain in a state of psychological slavery, and this is a reminder that our athletes should be educated even if they earn millions of dollars yearly to play sports. We often make the mistake of stressing the importance of education to our elementary, middle and high school student-athletes merely for the purposes of meeting the minimal GPA and standardized test score requirements for the NCAA Clearinghouse, and we stress education as a “back-up plan” just in case they don’t make it to the NFL or NBA. Sadly, too many parents and coaches don’t even consider these reasons. It’s true that student-athletes have to perform academically to play sports in college, and it’s true that the odds of going pro after college are slim. According to Beyond Sports U, 1.7% of college players go to the NFL and 1.2% of college players get drafted to the NBA. But for those aspiring professional athletes and those who’ve already made it and are multi-millionaires now, they should realize that being educated is much more than earning a living. Education is a key that opens doors of opportunities and options, but it’s much deeper than employment and dollars and cents. It’s important that our Black athletes, both aspiring and professional, be educated in order to change their consciousness and not to make themselves and the rest of the race look like buffoons. 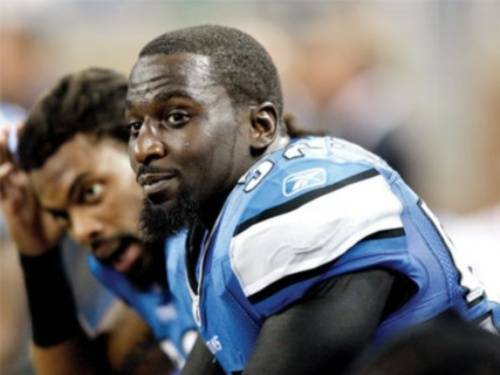 Furthermore, Black athletes should be financially literate. They hire agents and lawyers to ensure they receive the correct amount of millions, but with so many sports stars going broke, one has to wonder who’s managing the Black athletes’ finances and if they’re operating in the best interests of their clients. I also wonder about the conspicuous consumption and materialism that’s all too common with our Black professional competitors. If Black athletes aren’t educated for themselves, they should at least be educated for the young Black boys that look up to them and aspire to the dream of becoming professional sports stars. I’m not suggesting that every athlete needs to enroll in a university and get a degree. There are many professional athletes, who finished college or spent some time in college (Durant attended Hampton University), but a degree doesn’t make one educated, and a person can become educated without attending college. Additionally, we all know people — either personally or in the public scene — that graduated from Ivy League schools but make some mainstream rap artists look like scholars. 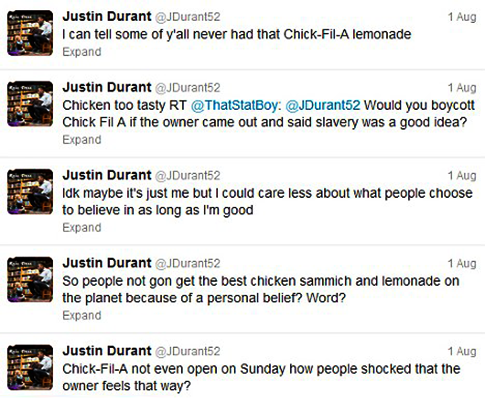 Black athletes should be able to read and think at a college level and most importantly, have adequate knowledge of themselves and their history, so they won’t make comments similar to Durant’s. With this, we can take steps to combat racism and stereotypes by proving to the world that we can be both athletic on the field and court and mentally competent as well.